Eye exams are available by Dr. Debby Rodriguez & Associates located next to or near Sears Optical. 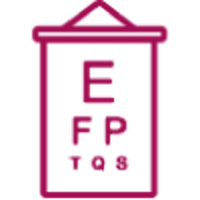 During the exam you will be tested for visual acuity and general eye health. The doctor will check for signs of cataracts, glaucoma and other eye diseases. An examination can also reveal other health problems, including diabetes or high blood pressure. If you have a question in regards to the cost of your eye exam, the price of contact lens fitting or what your insurance will cover please call us at (219) 769-0789. We will be happy to help answer your questions. Yes, before you purchase contacts you must have your eyes examined and a contact lens fitting completed by Dr. Debby Rodriguez & Associates. Some people think an eyeglass prescription can be used for contacts but they are actually different. If you already had an eye exam with a contact lens fitting and your prescription for contacts is valid, call our office to order your contacts today - (219) 769-0789.